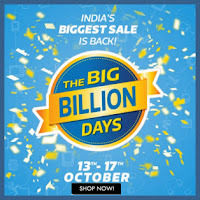 Hello Frndzzz.... www.dealsnloot.com Back With New Big Billion Day 2nd Day 14th Oct .
Day 2 – 14th October :- Now that you are on the 2nd day of the Flipkart Big Billion Days Sale, you can start purchasing all home & kitchen appliances that you need now, and will surely require in future. We are sure that you will fall in love with all the HUGE discounts that are on your plate in these categories !!! 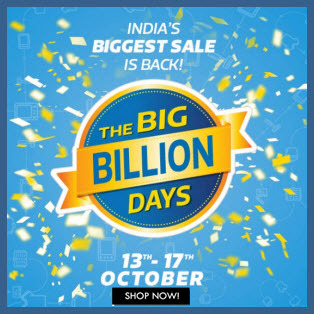 10% instant discount is valid from 14th Oct, 2015 (00:00 hrs) till 14th Oct, 2015 (23:59 hrs) Maximum discount per card will be Rs 1750 The Offer is applicable only on ALL categories / products This Offer is applicable on transactions/orders done ONLY on Flipkarts Mobile Apps This offer will be applicable over & above all the other on-going deals listed below.